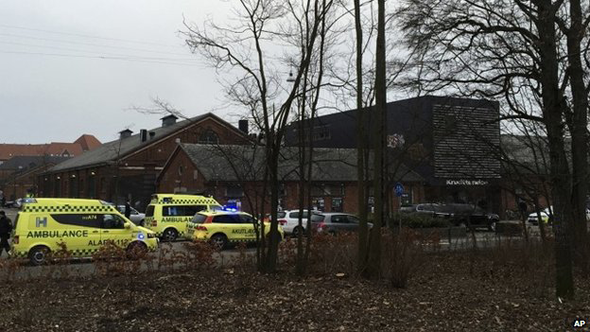 Gunmen killed one person and injured three police officers during a free speech debate in Copenhagen attended by a controversial Swedish cartoonist, officials said. The French ambassador was also present at the debate. 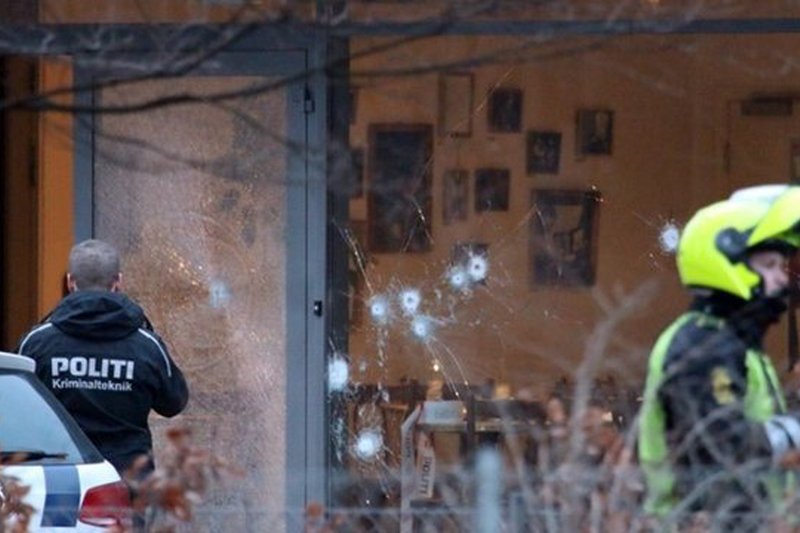 Reports say up to 40 shots were fired during the attack and a manhunt has been launched. 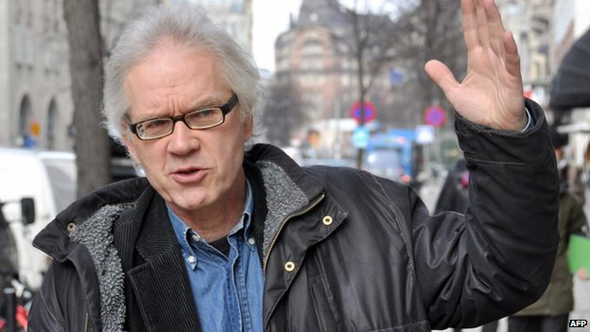 Swedish cartoonist Lars Vilks has faced death threats after drawing caricatures of the Prophet Muhammad. He was not harmed during the attack. Shortly after the shooting, a message appeared on the Twitter feed of French ambassador Francois Zimeray saying he was still alive. The area around the venue is under lockdown, the BBC's Malcolm Brabant reports. Police have erected cordons and are searching a nearby park, he adds. There were reports that police were hunting two gunmen, but this is unconfirmed. Lars Vilks stoked controversy in 2007 by drawing pictures of the Prophet Muhammad dressed as a dog. An organiser of the event, Helle Merete Brix, said she clearly considered the incident as an attack on Mr Vilks, reported the Associated Press news agency. In 2010 two brothers tried to burn down the cartoonist's house in southern Sweden and were imprisoned for attempted arson.